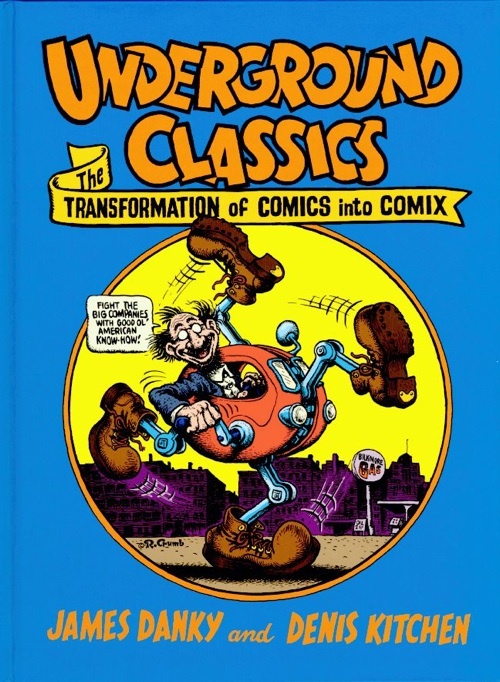 UNDERGROUND CLASSICS: The Transformation of Comics into Comix by James Danky and Denis Kitchen (Harry N. Abrams/ComicArts). Hardcover Edition. AUTOGRAPHED COPY--- AVAILABLE ONLY HERE! 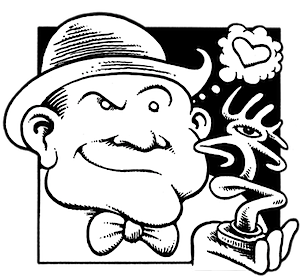 The impact of American underground comix is profound: They galvanized artists both domestically and abroad; they forever changed the economics of comic book publishing; and they influenced generations of cartoonists, including their predecessors. 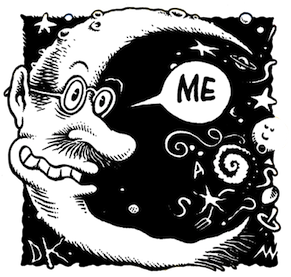 While the works of Robert Crumb and Art Spiegelman are well known via the New Yorker, Maus, and retrospective collections, many other seminal cartoonists who came of age in the 1960s is considerably less known. Underground Classics: The Transformation of Comics into Comix provides the first serious survey of underground comix as art, turning the spotlight on these highly influential and largely underappreciated artists (full list below) based on the traveling exhibition of the same name opening at the Chazen Museum of Art in Madison WI in 2009. Four essays from curators Denis Kitchen and James P. Danky, art historian Paul Buhle, comix historian Patrick Rosenkranz, and comix artist Trina Robbins, offer a thorough reflection and appraisal of the underground movement. Their essays are accompanied by over one hundred original drawings and paintings loaned from private collections and from the artists themselves. The essays and back matter are accompanied by vintage photos of the artists, most never before seen. Indispensable for the serious-minded comics fan and for those with an interest in contemporary art history, Underground Classics is a definitive visual survey and essential resource. Hardcover only. 9 x 12.25 inches. 144 pages. Color throughout. Harry N. Abrams / ComicArts imprint. 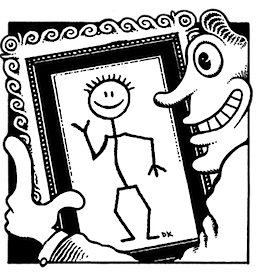 Alphabetical list of artists in the exhibition and book: Joel Beck, Vaughn Bode, Tim Boxell, Roger Brand, Charles Burns, Leslie Cabarga, Dan Clyne, Richard Corben, Robert Crumb, Howard Cruse, Kim Deitch, Will Eisner, Will Elder, Shary Flenniken, Drew Friedman, Don Glassford, Justin Green, Richard "Grass' Green, Rick Griffin, Bill Griffith, Gary Hallgren, Rory Hayes, Rand Holmes, Greg Irons, Jack "Jaxon" Jackson, Jay Kinney, Denis Kitchen, Aline Kominsky-Crumb, Harvey Kurtzman, Bobby London, Jay Lynch, Jim Mitchell, Victor Moscoso, Willy Murphy, Dan O'Neill, James Osborne, Harvey Pekar, Peter Poplaski, John Pound, Sylvie Rancourt, Ted Richards, Manuel "Spain" Rodriguez, Trina Robbins, Sharon Rudahl, Gilbert Shelton, Art Spiegelman, Frank Stack, Dan Steffan, Steve Stiles, William Stout, John Thompson, Larry Todd, Reed Waller, Robert Williams, Mervyn "Skip" Williamson, S. Clay Wilson and Kate Worley. 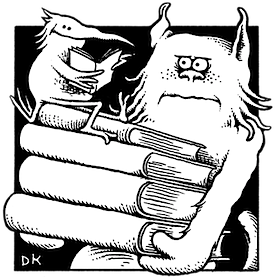 Denis Kitchen "writer, cartoonist, editor and publisher" was present at the birth of the underground comics movement. From his first self-published effort, Mom's Homemade Comics no. 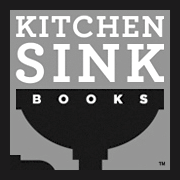 1 in 1968, Kitchen has worked with every important artist who produced underground comix. His long relationships with these artists, many of whom he published through Kitchen Sink Press, is the basis for this catalogue, the companion to a traveling exhibition of original art and comics, originating at the Chazen Museum in Madison.